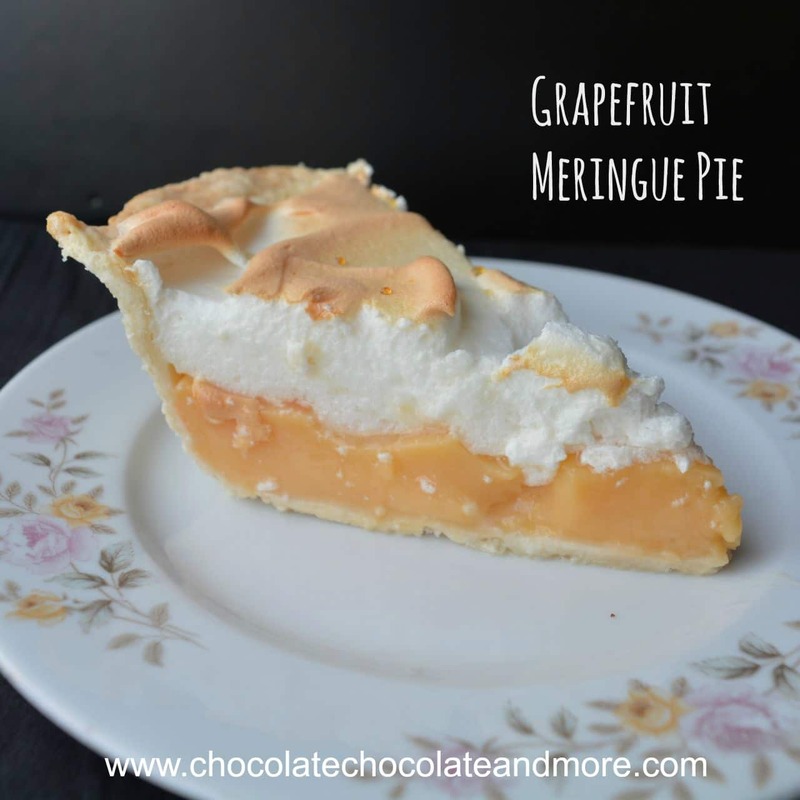 Grapefruit Meringue Pie - Chocolate Chocolate and More! Tangy grapefruit gives a refreshing twist to traditional lemon meringue in Grapefruit Meringue Pie. It goes great with a cup of tea or as a refreshing dessert on a hot day. My kids are all so different. Matt is the history buff and geeky gaming guy. You can ask him just about anything historical and he’ll know the answer. Tim is our musician who rocks out in the Austin music scene with his friends and Becky is the serious student who loves math, physics, and art. They all also like different foods. Matt will eat most vegetables and is my least picky eater. Tim loves fruit. I mean LOVES fruit. Becky seems to survive on carbohydrates alone. One thing Becky and Tim agree on is grapefruit. When he was a baby, Tim used to cry if he saw anyone with a grapefruit and he couldn’t have some. Grapefruit and babies’ digestive tracts don’t fully get along so we had to eat grapefruit in secret until Tim’s intestines could handle it. Becky wasn’t quite so passionate about grapefruit as a baby but she loves it now so grapefruit usually doesn’t last long in my house. Becky bought a few grapefruits right before she left but didn’t have time to eat them and I’ve been craving a meringue pie so I thought I’d whip up a pie with a grapefruit base. I figure it will go over well with at least two of my kids. 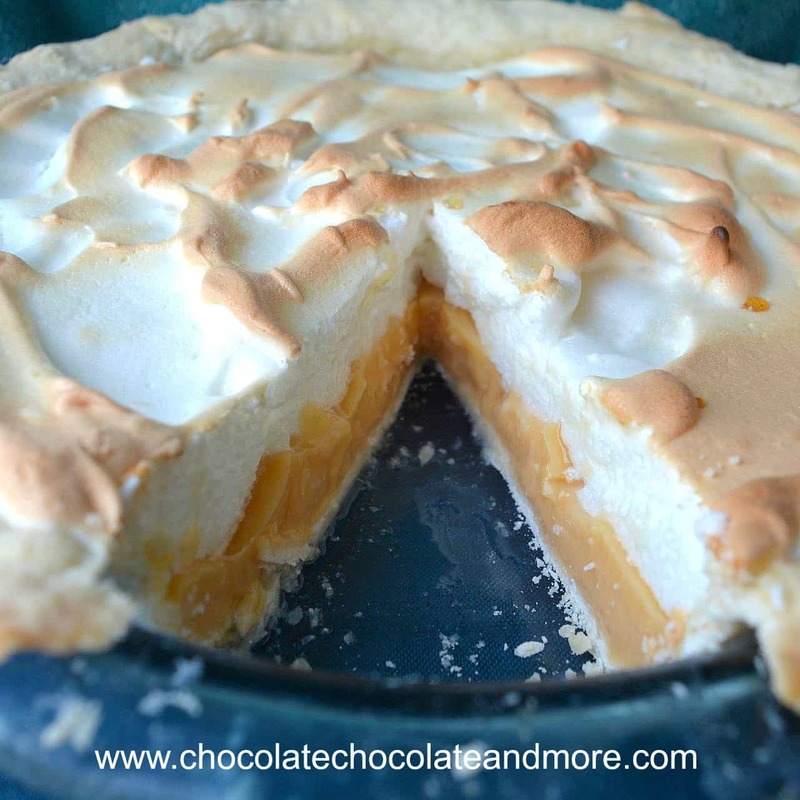 I studied a few lemon meringue recipes for ideas and picked out what I liked from them. It’s really humid here so adding a little cornstarch to the meringue helps it maintain it’s light, airy texture. I also added the grapefruit zest and reduced the sugar so that it would keep the tart flavor. Interestingly, even though I used ruby grapefruits, the filling came out orange. If you wanted it to be pink, you could add a little food coloring or a small amount of beet juice. My officemates gave grapefruit meringue pie two thumbs up so I’m definitely going to make this for my kids when I return home. Prepare the crust. For a flaky crust, place all ingredients in the refridgerator until cold and work quickly. Place flour and salt in a bowl and cut in coconut oil with a pastry blender. Add cold water and mix until dough forms a ball. Roll out on floured surface and line a pie plate with the crust. Place pie weights in empty crust and bake at 350°F (180°C) for 15 minutes or until golden. While crust cooks, prepare the filling. Put all filling ingredients except egg yolks in a medium saucepan. Cook, stirring constantly, on medium until mixture boils and thickens. Carefully whisk the hot mixture into the egg yolks (whisk quickly so yolks don't cook). Return to pan and bring to a boil again while whisking constantly. Pour into prepared crust. Put all ingredients for meringue in a bowl and beat on high until stiff peaks form. Start from the outside of the pie. Spoon meringue on top and spread towards the center. 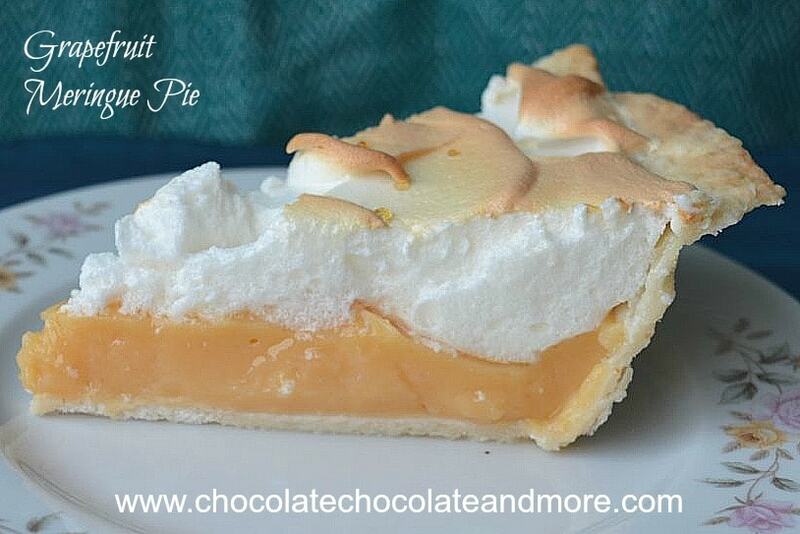 If you start at the outside, the meringue will stick to the crust and not shrink. Bake at 350°F (180°C) for 15 minutes until meringue is golden brown. If you like this, you might also like grapefruit vanilla bean pound cake from Blahnik Baker. 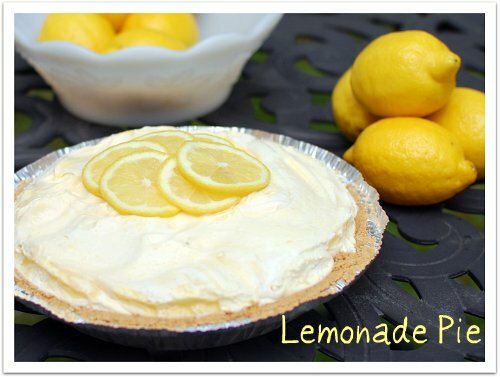 Or this lemonaide pie from TidyMom. Or these lemon meringue cookies from Confessions of a Cookbook Queen. 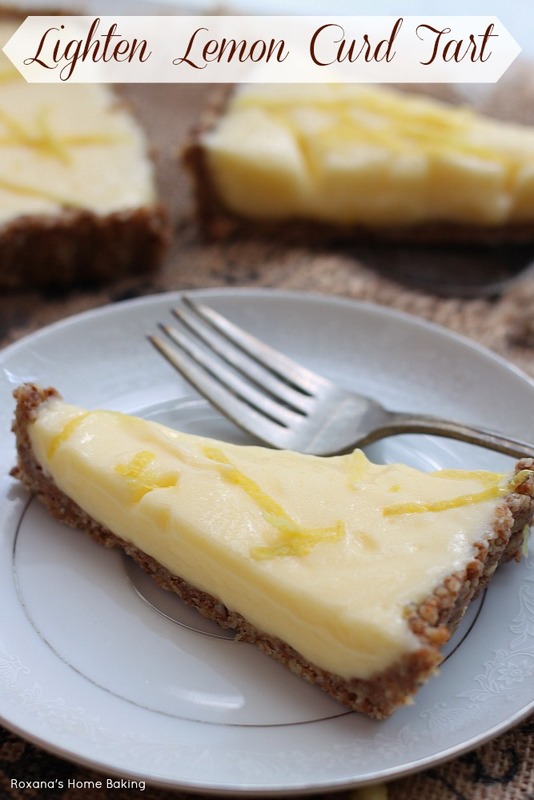 Or this lemon curd tart from Roxana’s home baking.